Discussion in 'iPhone and iPad Games' started by redribbon, May 13, 2015. Become a Near Death Experience rescuer at a secret cryotech lab that suffered a leak of toxic biohazardous gas. Employees turned into zombies, while some fell into a deep coma, others into clinical death. 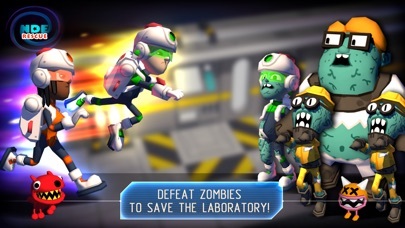 Beat the zombies and spirits, unlock the mysteries of the secret lab! YOUR JOB: cap the poison gas leak, bring employees out of their coma, and get out within 5 minutes to avoid catching the virulent pathogens and becoming comatose or an zombie yourself! Meanwhile, fend off the robotic zombies and evil spirits, who want to take over the souls of comatose laboratory workers and lead them through the ​Gate of Death ​into the Underworld. Use special helmets and goggles to see the evil phantoms as glowing silhouettes of ectoplasm! Quarantine the infected, resuscitate the comatose or NDE. And HURRY, to prevent a pandemic! 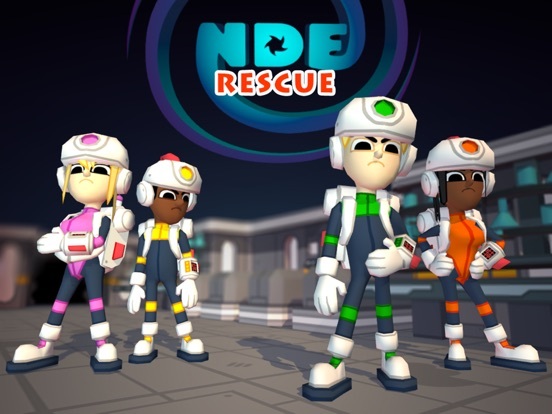 Features: - 8 kinds of enemies - zombies, phantoms, and evil spirits - Professional rescue teams, each consisting of 3 rescuers - 4 sectors and 28 laboratories, plus bonus levels - 10 useful items and boosts to assist you - Use a COMBO attack to win - Convenient operation and intuitive interface - Dozens of “escape room” missions Keep track of time, so you don't catch the potent pathogen, more dangerous than Ebola! Navigate dozens of levels and rooms full of traps! 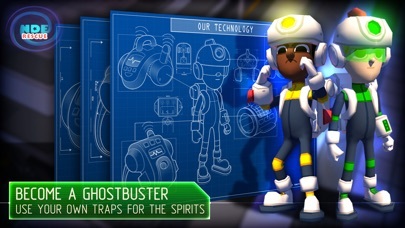 Become a Ghostbuster - use your own traps to block and capture the spirits. If you have problems ask for help from friends on Facebook. Use your puzzle solving, strategy, and fighting skills to complete every level and rise to the bonus stage. Rumour has it that scientists are conducting experiments on cryogenic deep sleep, hibernation, and near death experiences to prolong lives. FIND OUT! From the scale and effects of the disaster, it seems they're also developing biological warfare pathogens and WMD! Unlock the mysteries of the laboratory and put up with what happened. Isolate and quarantine contaminated rooms, but the biohazard means you must move FAST. Prevent the Pandemic! The first mission already went on. Open the door, shut off the electric fence, defeat the zombies and phantoms, and save the cryotech victims!